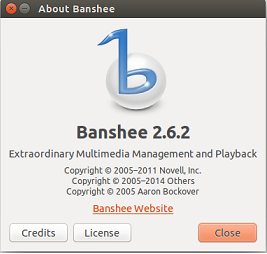 Banshee is a cross platform, open source media player, it is renowned for its long feature list, ease of use and support for multiple operating systems. Originally called Sonance, it was renamed in 2005. It used GStreamer multimedia platform on the backend to perform the required encoding/decoding tasks. It is a plugin capable media player and highly extensible due the availability of large number of plugins; both free and paid . 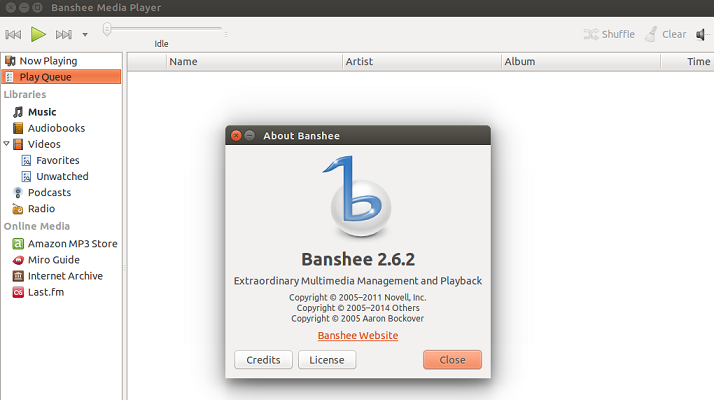 The most recent version of this Media Player is 2.62, let see how we can install that on Ubuntu Linux. It offers powerful search and smart playlist features, so you can find stuff quickly and play it on the fly. Ability to queue the tracks, albums, podcasts. Smart shuffle feature lets you listen to songs in random orders. Automatically fetches covert art for your music playlist. Stay up to date by discovering new podcasts via subscription feature. Purchase and access music from Amazon Music Store. Ability to stream and listen to internet radio stations. Allows sharing of music libraries with iTunes and other such services. It can be controlled via GNOME media multimedia keys. In order to install the latest version of Banshee, we will need to add its PPA sources to our system package manager. Launch terminal and run following command to add it. That’s all, simply run following command to install the latest version of this wonderful media player. 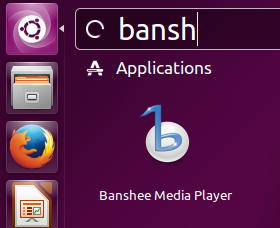 Congratulations, banshee has been installed, launched it from Applications >> banshee.